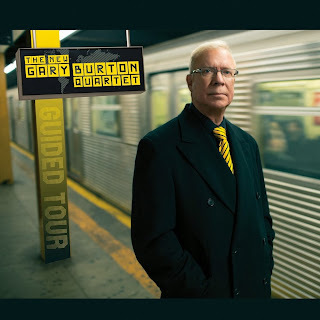 I’ve admired Gary Burton for years without knowing much about him beyond his music – the crystal-clear, horizonless sound of his vibes; his many recordings with Chick Corea; his gift for finding and working with guitarists including Larry Coryell, Pat Metheny, and most recently Julian Lage. 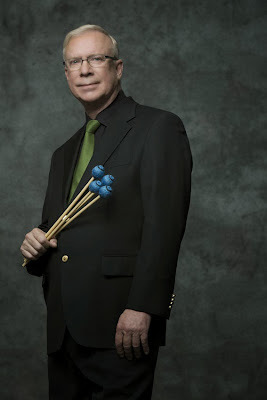 I know a lot more about him now that I’ve read his autobiography, “Learning to Listen: The Jazz Journey of Gary Burton,” published earlier this month by Berklee Press. It’s quite the page-turner, considering the genre (autobiography), the subject (a clean-living jazz musician), and the fact that Burton has followed a relatively untroubled, unencumbered path through the life he chose for himself. A self-described “poster child for success,” Burton seemed to do everything right except for one thing: be fully himself. “I convinced myself I wasn't gay, [that I] had this extra sensitivity, this aesthetic that allowed me to appreciate the attraction of men ... This carried me through two marriages. After my second marriage ended, somebody asked me a big question: 'What do you plan to do for the second half of your life?' That got me thinking that I wanted to fix whatever wasn't right in the first half. That brought me square to this issue.” Out among his friends and family since the 1980s, publicly out since 1994, Burton has suffered no negative consequences of being openly gay. To the contrary, he claims his career is better than ever. In “Learning to Listen,” Burton takes credit for his considerable accomplishments and gives credit where it’s due. A teacher for much of his life (at Berklee College of Music, which he attended without graduating), he honors his own teachers: Evelyn Tucker, who taught him to play marimba and vibraphone as a child (and encouraged him to start “making things up”); Loren Blake, who taught him jazz piano and harmony; Nashville guitarist Hank Garland, who turned Burton from an incipient “jazz snob” into someone whose ears stayed wide open to all kinds of music; Alfred Lee, his classical piano teacher at Berklee, who taught him ear training, sight reading, and how to find inspiration in classical music; trumpeter Herb Pomeroy, who taught him how to improvise. From George Shearing, Burton learned about harmony, the value of short solos, and the importance of being able to play in all key signatures. (It was Shearing who convinced Burton to stop using the vibrato in the vibes.) From Stan Getz, Burton learned to rethink his concept of the jazz solo – to focus less on innovation, more on feelings, dynamics, and expression. From the great singer Lena Horne, he learned how to phrase and interpret melodies. Currently on tour for his new album, “Guided Tour,” with his latest group, the New Gary Burton Quartet, the vibes master, multiple Grammy winner, bandleader, composer, educator and author comes to the Dakota Jazz Club in Minneapolis on Oct. 2 and 3. I spoke with Burton by phone in September for the Minneapolis Star Tribune. This blog post includes those parts of the interview that didn’t make it into print for reasons of space, or because they wandered into nerdier topics like the book-writing process itself. Despite the fact that Burton was leaving the next day and hadn’t yet started packing, he was warm and gracious. He acted like he had all the time in the world. PLE: Is “Learning to Listen” your first book? Gary Burton: It’s my second. My first was a how-to about traveling on the road [“A Musician’s Guide to the Road,” Billboard, 1981.] I consider [“Learning to Listen”] my one and only actual real book. I worked on it pretty hard for the last three years. Up to that point, I would get into it every now and then in brief spurts of activity, but didn’t really focus my attention on it until more recently. I’m sure if I had worked with a professional writer and followed the usual format of doing interviews and having someone else do the writing, I could have done it with a lot less effort on my part. [But] I wanted to have it in my voice. I’ve been thrilled with the reviews and reactions I’ve been getting so far. I expected it to be appreciated by jazz fans, but I wasn’t prepared for the strong reaction to the writing itself. I always thought of myself as someone who could write correctly and clearly, but when I read professional writers’ work, I’m in awe. For many musicians, their recordings are their legacy. Why did you feel so strongly that you needed to write your autobiography, and that you had to do it yourself? The behind-the-scenes story of your life – its ups and downs, and who you are – doesn’t come across in records. When I got into my 60s, I started thinking seriously, “Do I have a story that’s worth telling?” I think there’s enough in the book to be enlightening to people. Then there was the gay story. Other people have come out over the years more and more, but every time someone does it, it’s a different take on that story. I also wanted to address the creative process, which has fascinated me all my life as a player and as a teacher. I wanted to see if I could answer those questions people are always asking – like “How do you know the right note to play?” and “How does it work?” I wanted to demystify it. I thought that was worth putting into words. You talk about having an “inner player.” Does everyone have one? We can’t think about nouns, verbs, pronouns, and sentence structure while we talk. It would stop us in our tracks. I’ve always assumed – I’m not a neurologist – that the same brain function works with language and music performance. You had two careers for many years. Did you ever sleep? I’m fast at getting my work done. I’m a quick study. Even when I was a student, I always managed to get my homework done during breaks between classes, so by the end of day I could go home without any homework. You write about keeping lists of words and phrases suitable for song and album titles. Talk about being prepared! The same thing happened to me that Pat [Metheny] runs into all the time. You finish a record, and then the record company is on you: “We need titles now! Can you get them to us by Monday?” I learned that good sources for tune titles were poetry and magazine advertising. Ad copywriters use a lot of strong buzzwords and catchy phrases. So one day I started leafing through magazines and making lists. I’ve used many of the words and phrases I’ve written down. Pat has used quite a few of them. “Guided Tour” [the title of the new album] was one. What were your source materials for this book? Did you keep journals? Did you draw from memory? Did you talk with people? I started making notes to myself about 15 years ago. Just writing things down on index cards. Anytime something crossed my memory – “That gig was wild,” “Here’s an interesting thought about creativity” – I wrote it down. Over time, I ended up with a couple hundred index cards. Writing them jarred my memory as well. Once you start working on retrieving memories, more and more of them come back. As I started writing about the first half of my life, I was constantly surprised by other memories cropping up. Then I went to people I knew from those years. My mother had a treasure-trove of old newspaper articles and photographs she had saved from when I was a kid. She sent them all to me. Then I went to people like Pat Metheny, Chick [Corea], and Steve Swallow, people I’ve played with since the 1960s and ’70s. I would tell them stories I remembered and see if they rang a bell with them. In some cases, they would say, “No, it wasn’t that way. Stan said this, and then we did that.” That helped me to fine-tune. I sent the book to a handful of people from my past, and also a few current people, to get their feedback. My first girlfriend, Jeanine Blessing, whom I mention in the book, has known me since 1963. She had a lot of suggestions for different sections – like “This isn’t clear” or “Shouldn’t you talk more about that part?” Neil Tesser, my editor, longtime friend, and a jazz writer, fact-checked a ton of stuff. I’d mention something that happened at a festival in 1973 and he’d come back with “No, according to a review I found, that was 1972.” He was also good at calling out parts of the book he didn’t understand, where he wasn’t sure my point was coming across, and places where I repeated myself. I couldn’t imagine writing this book with an editor who wasn’t a jazz writer. I didn’t want to just talk about my career in terms of “then I made this record and that record, then I played in this band and that band.” I also wanted to include in-depth portraits of people who were important to me, people I learned from and who were my inspirations. I started out with a list of people – Duke [Ellington], Lionel [Hampton], Pat [Metheny] Chick [Corea], and Sam Barber – who had made a big impression on me or been directly involved in my career experiences. Neil suggested, “Don’t write about what people can read elsewhere. Focus on the stuff only you know about them.” The box idea [putting individual profiles in boxes, like chapters within chapters] was mine. What did you leave out of the book? Probably a dozen anecdotes I decided weren’t as strong as the ones I chose, or were too similar. We’re about to do a second printing, which gave me the chance to make corrections and changes, so I just read it again from cover to cover. I found half a dozen little things, odds and ends. I softened up some stuff. In my first version through, I was even more critical of Astrud Gilberto. I toned that down. I used to be even more strident. I wanted to be blunt and honest about people. One thing I dislike about so many jazz biographies is “everybody is wonderful, everybody plays great.” People are afraid to be critical. Even so, you weren’t especially harsh in your criticism. Except that you called Joe Henderson a prick. He was one of the most evil people I’ve ever met. I knew his reputation even before I signed up for that thing [a “Young Lions” tour of Europe with Jimmy Owens, Cedar Walton, Roy Haynes, and Henderson]. Someone once came and took lessons from him. The guy’s saxophone was in bad shape. Joe volunteered to have it tuned up and repaired. Instead, he hocked it. Typical Joe. Typical junkie. The moral compass gets twisted. I didn’t want to be unnecessarily mean, but at the same time, I felt it was part of the story to talk about the human aspects of these genius people. Their frailties and weaknesses and lapses. This is not to say they weren’t geniuses. I talk about Miles [Davis] and his colorful behavior. I hope I also come across as showing that he was one of the amazing musicians I’ve ever encountered. What did you take out of the book? Only some of my wording. I can’t think of any actual stories I left out. I did have an affair with a musician I didn’t want to put in, out of deference to him. I’ve been asked, “You’re an openly gay jazz musician. Have you ever had any jazz musician boyfriends?” Yes, once. But that didn’t add anything to my story. You were lucky in your family. I love the story about your grandfather buying a record player so he could listen to your first record. Did he ever buy another record? No. He bought a little tabletop vinyl box and only played that single record. Every time I would visit him after the ’60s, I would walk in and there would be this thing on the dining room table. He came to visit me once in New York. He had never been to a city before, and he lived in a farm town of 500 people. When he was in his early 70s, he decided he wanted to see a little bit of the world before it was all over. My sister flew out with him. He had never flown before on a commercial plane. He spent most of a week visiting me at my studio apartment. I was with [Stan] Getz in those days, and I would take him with me as I did errands around the city – a record signing event at Macy’s, something with Stan, a PR event. I had to keep my eye on him. He would just walk into the street and wander off down the sidewalk. He had a wonderful time. And your parents were so supportive of your interest in music, without being at all pushy. My family was great all through that. They have also been great with the second big issue in my life, when I came out. Not only my personal family, but my ex-wife and her family have been huge fans and supporters. And the kids. I’m still best friends with all my in-laws, and with my kids. They both live in L.A. near their mother. Jonathan [Chong, Burton’s husband since July] and I are out there three to five times a year on business of one kind or another. We always make extra days for my family. Father died at 84. It’s been 15 years. Mother is 97 and in a nursing home in Princeton [Indiana]. Up until a year ago, she lived in her own place. Then she had a fall and needed someone to take care of her. We all go out to Indiana every year for a long weekend – my brother, sister, nieces, nephews, and grandkids. We started doing that every year when she turned 90. We just did it in May. You write very lovingly about your father – how he took you to see Lionel Hampton play, how he drove you to music harmony lessons in another town, an hour each way. If you could talk with your father today, what would you say to him? To Dad: the big thank-you. At the time, it never occurred to me he was making such a big sacrifice and commitment. He was enthusiastic and seemed to be having fun from the sidelines. When I got my driver’s license and started driving myself, I realized how much time and effort he had put into being supportive. I always felt I never thanked him and my mother enough for their support. They never pushed me into music, like the classic stage parents dragging their kids around. To them, music was something fun for the family to do. When I got more into it, they let me know, “If that’s what you want, we’re there for you.” They never put any barriers in my way. The biggest moment was probably when I came back from band camp and said, “I’ve changed my mind. I’m not going to med school. I’m going to play jazz.” They didn’t blink. There wasn’t a hint of surprise or negative reaction on their part. Or maybe I just didn’t notice it. I do think if I had told them at that age that I thought I was gay, they would have had a lot of difficulty with that. This was 1958, 1959 in rural Indiana ... It's easier to come out if you've already launched your life and career. Have you and Charlie Haden ever spoken about your experiences as children in a family band? I know Charlie reasonably well. We served on the Grammy committee for four or five years running. And he was also in a family band as a child. Country music. We were surrounded by country music in southern Indiana. We’ve talked about a lot of other things, but never about that. He’s quite ill now. One thing that stands out in your book is your openness to all kinds of music – starting with your first recording, with Hank Garland in Nashville, and continuing through your whole life. Also, your openness to learning from others, and experimenting. Where do you think this comes from? I don’t know for sure. I have observed that improvisers are very adaptable. Classical musicians can’t suddenly decide to play rock or tango or whatever. The music has to be written out for them to read. But improvisers – if we can relate to something we hear, we can usually play along with it and figure out something that will work. Jazz musicians fall into one of two camps. There are the ones who stick to a narrow genre, make that their thing, do it brilliantly and beautifully, and everybody loves their playing. Wes Montgomery, Milt Jackson, and Oscar Peterson all did their thing, did it great, and were hugely successful. Then there are those who are musical travelers and restless spirits, always looking for something different, overturning the nearest rock to see what’s there. Stan Getz, Chick [Corea], Pat [Metheny] – they’re the creative type. That’s been my thing as well. I’m easily fascinated by anything and want to get involved in it. I’ve learned tons from each of those diversions. I’ve been playing tango for twenty-some years on a somewhat semi-regular basis. I’m as well-known in Argentina for my tango concerts as I am for jazz. Do you dance the tango? I wish I could. I love watching the dancers. Here’s something you may find out about jazz musicians: almost none of us are decent dancers. During the years we could have learned to dance, we were playing in the bands. Jazz musicians probably think of dancing as not all that hip. I tap danced as a kid and I was pretty good at that. I have found occasional jazz musicians who were tappers along the way. It was common for kids to take tap dance lessons 50-60 years ago. Is there anything you’d like to say to jazz purists? I’m pretty anti-putting-things-in-boxes. Every time I hear somebody say, “Jazz fell apart after the 1950s,” or lost its way, or whatever, I just shake my head and think, “This is surprising, because the people who say that revere [musicians] who were iconoclasts. Their favorites are Duke [Ellington] and Thelonious [Monk] – people nobody understood at the time, who were constantly challenging audiences to keep up with them. Some musicians today want to stay in the past instead of looking ahead, trying to challenge themselves and move things forward. The nature of the art form, of all art forms, is you get classicists and people who break new ground. There’s room for everybody. I personally don’t have much interest in staying put or going backwards, certainly. People have often approached me about a reunion of the first quartet [with Larry Coryell, Steve Swallow, and Roy Haynes]. [My response has always been] “No, I have a new thing I want to do!” I don’t want to go back and do something over. But now that I’m at a certain age, I have indulged a little bit in reunion projects. It’s part of the nostalgia of becoming a senior citizen. You’ve been playing with Chick Corea for more than 40 years. I have a similar thing with Pat Metheny. I started playing with Pat the same year I started dueting with Chick. He joined my band. We don’t play every year, but we get together every so many years. The next year we’ve put aside to do something is 2015. We don’t know exactly what that will be, but we work through the calendar approach and put some time aside. The last time was a revival of the band Pat was in with me in the 1970s. We toured with that off-and-on for two years. So it won’t be that next time. I’ve seen you and Chick at the Dakota [in Minneapolis] at least twice. We have a history of doing a lot of our rehearsing in front of audiences. We get the tunes to the point where we can get through them without falling apart, and then we start performing. Me and Chick, we always take the music on tour first for a few weeks or some run of dates before we go in and record. Then we wait until the record comes out, six months or so, and tour more extensively to promote it. The Dakota is a wonderful place to try things out. Small, intimate, and friendly. At 70, you haven’t retired. But you write thoughtfully and realistically about jazz and performance and aging. You’ve had six heart operations, with consequences including loss of focus and no more perfect pitch. What do you see in your own future? There will come a point where I will feel that I’m too compromised. My abilities are weakening, I’m not as physically or mentally as sharp as I used to be. Chick and I have talked about this. He’s two years older than I. When it comes to the point where the body doesn’t function as it should, where you can’t think as clearly, rather than continue on and see your music narrow and shrink, there’s a time to step back. I know that time will come. It could be anytime in the next 20 years. I will say I don’t work as much as I used to. I’ll do this tour for a month and then I’m off. My online course with Berklee [Jazz Improvisation] takes a little time each week. I definitely program in a lot more off time to stay home, relax, and take it easy. I go on tour for two or three weeks, then back home for a month or so. When I was with George Shearing, I was away from home 312 days our first year on the road. Not many people do that anymore. Chick is starting to program half a year on, half a year off. For health reasons, to make more time to write, and so on. This is new for him. He’s just starting this year. Do you think “Guided Tour” will be your next Grammy winner? Who knows? You listen to it so much you lose your sense of realistic touch with it. When I make a new record, I put it away for six months, then try to listen with fresher ears. I wait to hear comments and read reviews. “Guided Tour” came out first in Europe, and the reviews we got in Britain, Germany, and Italy were really terrific. Way more than one of my usual records. So I’d say this is one of my more important records. One thing I’m most proud of about my career, the reason why my Grammys mean a lot to me, is they’re spread out over five decades. That says to me that my career wasn’t one period of success followed by a long fade. I’ve managed to sustain it at a high level all this time.